The park and garden of Schloss Mirabell Palace ranks among the most famous formal gardens from the Baroque age in Europe. The Palace of Schloss Mirabell was unfortunately altered into neo-Classical style in the late 18th century. Today, the Schloss serves as a very popular wedding venue, the city hall of Salzburg and for the city′s public library. 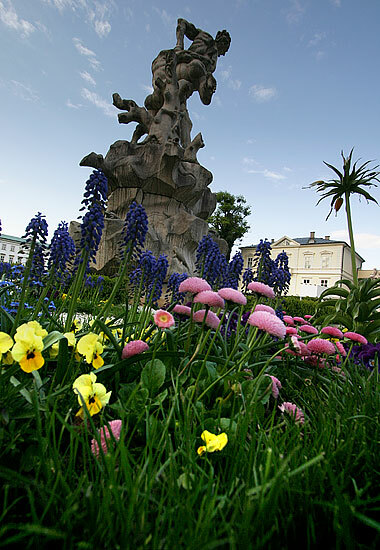 The park and garden, including the famous terrace overseeing the city with Salzburg fortress in the background, is open to the general public free of charge.